She was one of the favourite (favouritest if rules of grammar would allow) professors at IHM Mumbai. She made us all fall in love with bakery; she was as sweet as the products she taught us to make. I never saw her angry or lose her temper no matter what mess we as freshers created. Bakery and confectionery is fascinating but it also creates a lot of ‘aftermath’ that requires due attention but nothing bothered her ever. One incident that I remember from my college days – by the way I was good in baking, I used to handle the bakery counter during the theme events and buffet assignments. We worked closely with Shubhada ma’am and she guided us through those numerous assignments and we managed a good show always all because of her mentoring. I was very fond of chocolate cakes, I still have a massive sweet tooth. Once I wasn’t well so didn’t attend college. After the bakery practical class she sent a piece of chocolate cake to my hostel room with a classmate of mine. I was so touched by that gesture, no cake has tasted better than that ever! Also I have the memories of her Fiat Premier Padmini that she used to drive to college, a light blue one before she got the then latest Santro Zip Drive when Hyundai came to India; I guess she still has it. Her cars too were a class apart. Here’s the story of a lady who created such fond memories for numerous students graduating from the portals of IHM Mumbai. Ms. Shubabda Kotibhaskar’s is the story of a woman who made ‘the most’ of the situation she was in and shared her knowledge, love and generosity with all. She came from a very happy nuclear family of five. Her parents: father was a practising engineer, and mother was a doctor who taught as a professor at Sion Hospital. They lived in Sion, Mumbai with their three children. 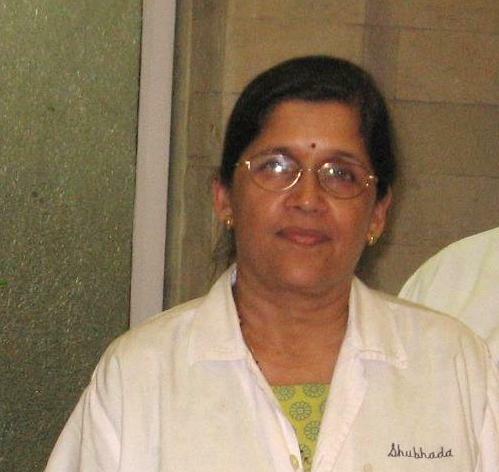 Born in the 1950’s, Ms. Shubhada Kotibhaskar was the eldest of 3 siblings, she had a younger sister and a brother. They all went to a school close by to their residence. At school, she was a very sincere and hardworking student and obtained her SSC certificate in 1968. As is common place today, there were significant discussions before the results; as to which academic steam she should pursue. She says, “In the 1960s, unfortunately unlike today, I don’t think any girl at that age had significant opportunities to pursue a career of her choice but my parents were extremely supportive and driven by education and hence always pushed us to go ahead and learn. Although I wasn’t sure what line would be appropriate for me, I was firm about not doing science as medicine never interested me. With faith in God, I (and my family) knew fate would guide me in the right direction”. During the oh-so-important decision-making processes, she received a lot of advice from everyone in her neighbourhood. 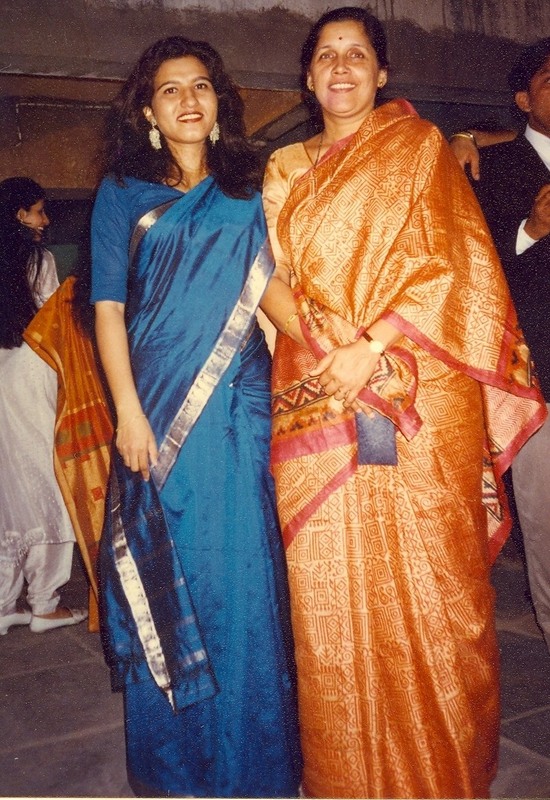 On one fortuitous day; her mother, her aunt Ms. Leela Jog (one of the founders of Annapoorna and an IHM Board-member at the time) visited the Catering College, at Shivaji Park. She was amazed by the campus and the impressive building – it was unlike any of the options she had seen. It was very modern for it’s time and very different to the structure that now stands at Cadell Road. However, half a century ago in 1968, Catering College did not offer degree programmes but only offered diplomas in Hotel Management and Catering Technology. So it was decided that she go to the M.S.University, Baroda to study BSc in Home Science. In 1972, She graduated in Food and Nutrition. In any case, she had had her first brush with IHM, an institution where she would eventually spend nearly 25 years of her life! In those days, girls were married at an early age and so, as would be expected, she too was married at 20 – just a few days after her graduation results were out. Initially, her husband, a businessman, and she stayed in a joint family: 3 sisters-in-laws and a younger brother-in-law. Ms. Kotibhaskar adds, “The chances and questions about working or stepping out for a job was inconceivable at that time. To be honest, it never occurred to me because I really wanted to study further and complete and M.Sc. or Dietetics. However, with 2 young children and then moving out from the joint family and into our nuclear home took some time and by the time I got around to enrolling myself at IHM to do Dietetics – it was already 1985-86. During the early days after my course, I took a part time job in an obesity clinic to practice my learnings and yet accommodate my kids’ school timings”. In 1989, a chance meeting with Mrs. Deokule, a Senior Lecturer at IHM, told her that they were looking out for a Demonstrator in Dietetics department. She got the job in June and so started a saga that would meander through a significant part of her life. Her core work was visiting different and difficult socio economic areas within the great city of Mumbai and conducting demonstrations to the socially disadvantaged people with hardly any ability to read and write; within those communities. She used to enjoy the interaction with them as she learnt a lot about their lives. The hardships they continued to face and she felt that she was doing her ‘bit’ to improve their lifestyle -hygiene and food habits to some extent. Four afternoons per week were dedicated to this charity work. She never felt sad or upset about the challenging working conditions; in fact work was worship to her. The team from catering college made it meaningful; taking hygiene and nutrition to the common man. Spreading the message that nutrition can me planned and need not be expensive. 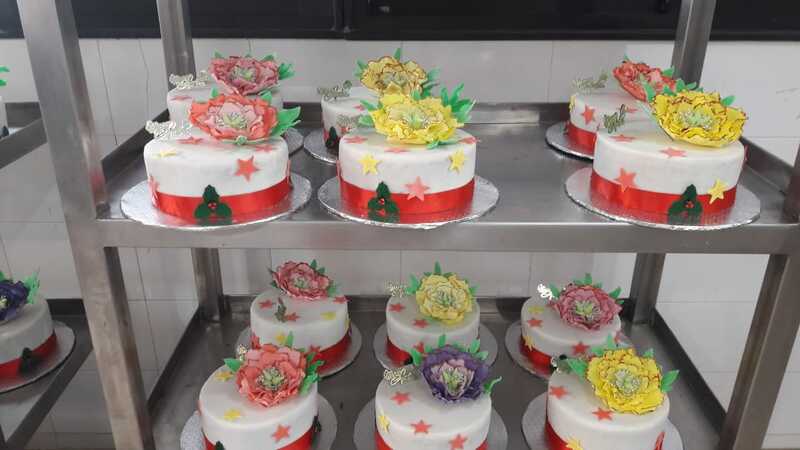 A few years later, the National Council, the governing body of the IHM, decided to take the Dietetics department under their control and so Mr. Shyam Dhargalkar, the principal at the time, gave her an option to join the Bakery Department. Her belief in the age-old adage , “when a door closes, another one opens” was endorsed. At that time, she says she only knew how to toast and eat the bread, period! But she loved cooking and took it on as a challenge to learn culinary and specialise in bakery and confectionery. With the support of her husband and the rest of the family, she started studying again. To be eligible for a role within the department, she attended a one year bakery course at the Vivekanand College, Chembur, Mumbai in 1993. Ms. Kotibhaskar fondly remembers Mr. Limboowala, the then in-charge of the Bakery Department, who was her teacher and guide. She recalls, “Mr. Limboowala was a very cute and considerate person who really helped me a lot in those early years with my Bakery. Some of the instructions that I belt out to my students over the years in the Bakery department remind me of the same I heard in his classes in Chembur”. 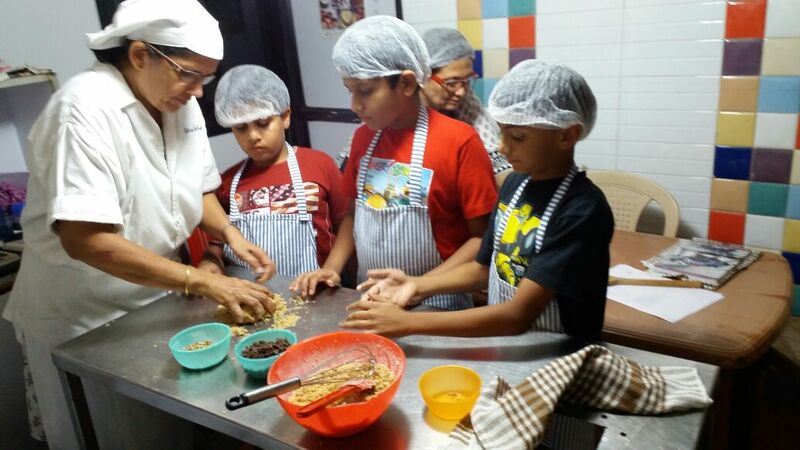 Shifting from dietetics to bakery – the big challenge for her was to face students. In the first few months of this shift she knew well that she had to learn a lot about baking. She was learning every day as she was imparting that knowledge to her students. That attitude has continued even today; she has ensured that she is updated with the latest trends in baking and she is forever learning! Her belief is if one doesn’t learn there is stagnation and that’s not good in any field. When I asked her about her mentors, Ms. Kotibhaskar says, “While I speak about the mentors and guides in my career, I would like to make a special mention about Mr. Shyam Dhargalkar and Chef Vernon Coelho. Chef Coelho has been a perfectionist; so under his guidance and advice my bakery skills improved (and are still improving) as he would always encourage me and kept egging me on (pun intended) to do the best for the students and the college”. 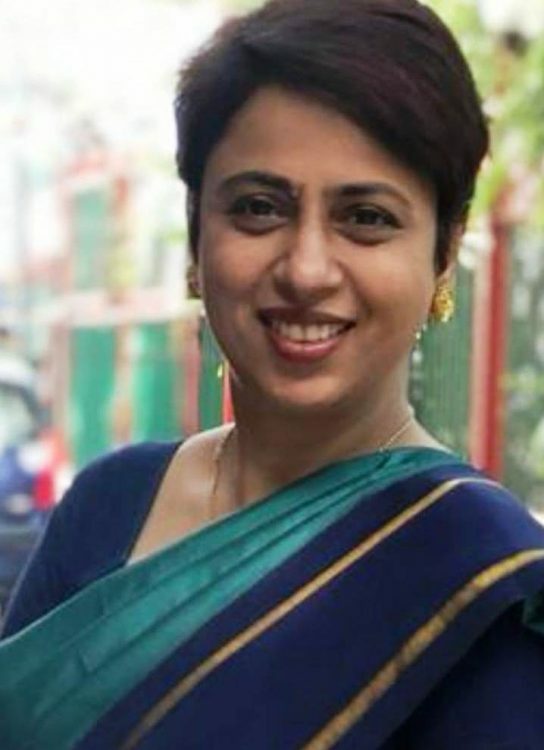 She has had a successful teaching career at IHM Mumbai where she made some of the finest and celebrated pasty chefs and bakers in the country. 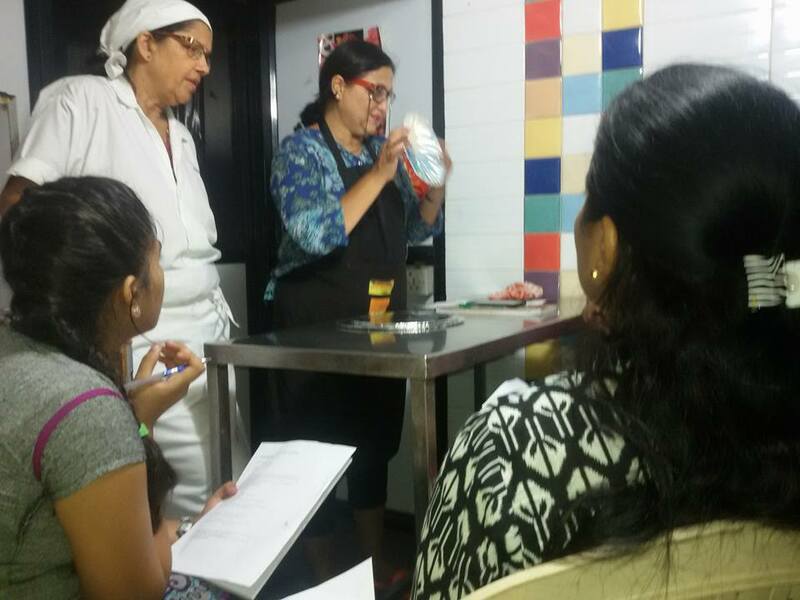 She continues with her passion to impart the fine art of bakery & confectionery to enthusiasts – young and old alike at her classes the Bakes House, Mahim, Mumbai. Very few can match the kind of fan following that Ms. Kotibhaskar has acquired over the years.